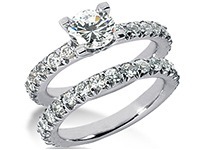 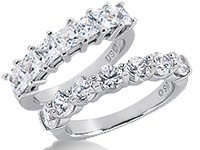 Depending on both your individual and shared tastes, Wedding Bands Wholesale has a large selection of beautiful designs to make sure you find the right rings. 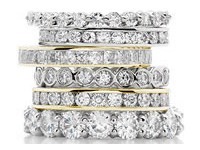 Whether you prefer the clean, classic design of a Plain Band or the unique beauty of our more modern looks, Wedding Bands Wholesale will guide you every step of the way. 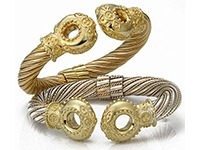 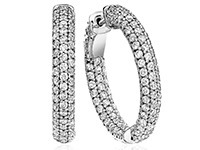 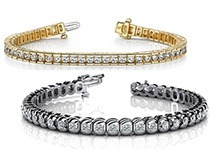 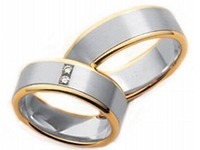 Wedding Bands are the physical embodiment of the bond between two people in marriage. 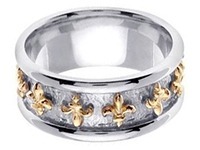 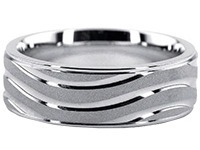 A wedding band serves as a constant reminder of your loved one and the life you two will share. 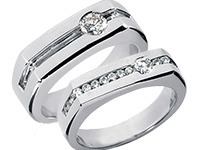 This is why it is very important to many couples to find the right ring to represent their partnership, since these are the rings you will wear, from the moment you say “I Do,” for the rest of your lives together. 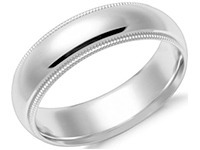 Plain Dome Wedding Bands are a simple but timeless design that has long been a favorite for couples. 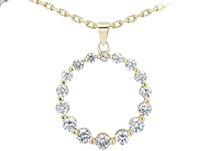 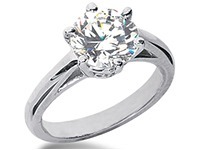 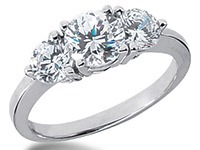 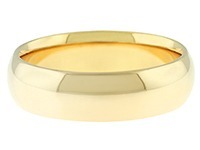 The classic dome design is a rounded band that curves from one edge to the other. 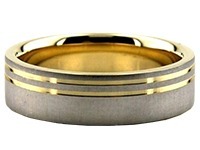 The Plain Flat Wedding Bands design is a new and unique take on the classic dome wedding band. 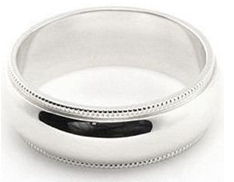 The flat band differs from the dome band because it is not curved outward from edge to edge; rather the flat band is a rounded band with a flat surface all the way around. 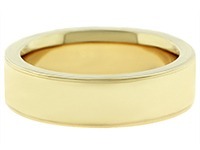 Our Plain Milgrain Wedding Bands are beautiful and take the classic simplicity of a Plain Dome or Flat band and add the beautiful detail of milgrain to create a great look. 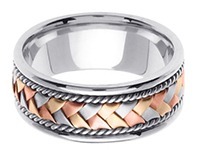 The Milgrain detailing can be applied to any style of plain band, and the word “milgrain” refers to the detailing stamped into the ring (the milgrain is shown on the edges of the pictured ring on the right, and below is an enlarged picture of the milgrain detailing from the ring’s edges). 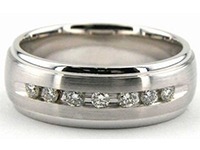 When choosing a plain wedding band, your beautiful selection will undoubtedly be classic, traditional and elegant. 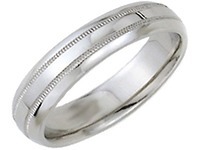 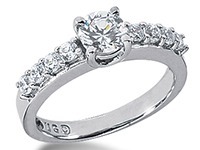 Plain style wedding bands refer to wedding rings without diamonds or detailing such as diamond cuts on the band. 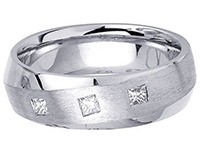 Wedding Bands Wholesale is proud to offer designs such as the plain: dome, flat, milgrain, double milgrain, convex, and concave wedding rings. 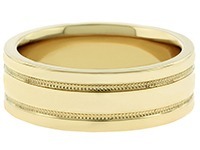 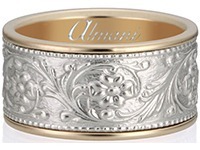 Other options include our classic “Park Ave” design in either a dome or flat shape, a particular favorite in plain wedding bands as it contains two milgrain designs along the center of the band. 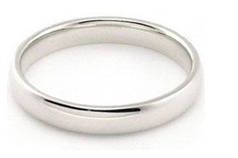 Each plain style ring is manufactured and can be created to your specifications. 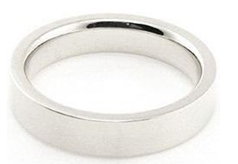 The thickness and millimeter width can be altered at your request to address your distinct wants and needs in the ideal classic wedding band.